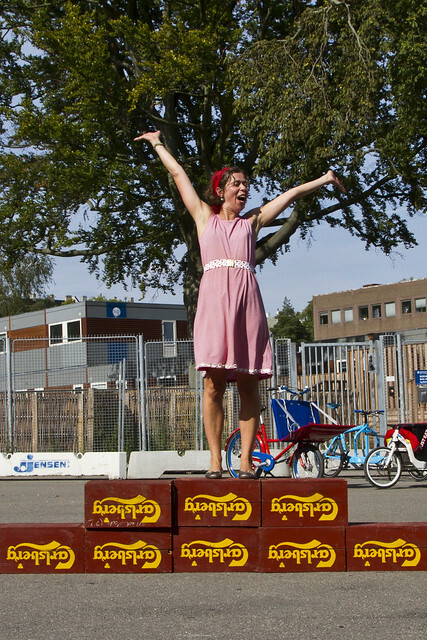 Last weekend the annual Svajerløb - Danish Cargo Bike Championship was hosted at the old Carlsberg Brewery. Along with the usual suspects, we had a few surprise guests. Birte, the lovely bride-to-be, and her girlfriends were heading out, via cargo bike, for her bachelorette party. 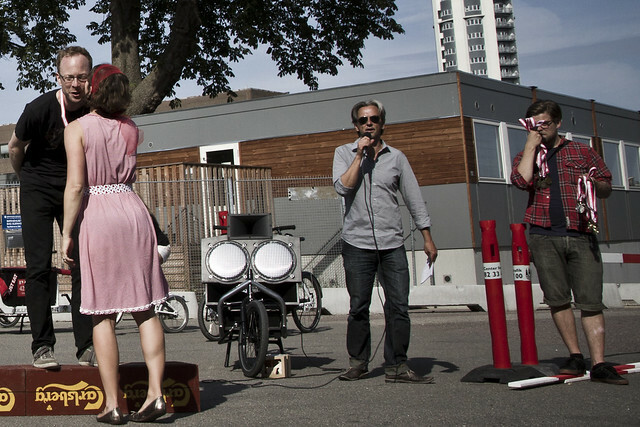 The Svajerløb, traditionally a race for bragging rights among the city's most daring bicycle messengers, seemed like an obvious stop for them. While Birte and her girlfriends didn't take home any medals for their speed, they took first place for Love. And the lovely bride-to-be did the honors of presenting the medals - Tour de France style.